When someone is diagnosed with a tumor, the first thing that your doctor will do is to identify whether it is malignant tumor or benign tumor. Identification of tumor type is necessary because the treatment plan depends on the disease. However, it is important to understand the difference between the two types of tumors – non-cancerous and cancerous – before trying to jump to a conclusion. While malignant tumors are cancerous and are made up of cancerous cells that grow out of control. Cells in these tumors can invade nearby tissues and spread to other parts of the body. Sometimes cells move away from the original (primary) cancer site and spread to other organs and bones where they can continue to grow and form another tumor at that site. 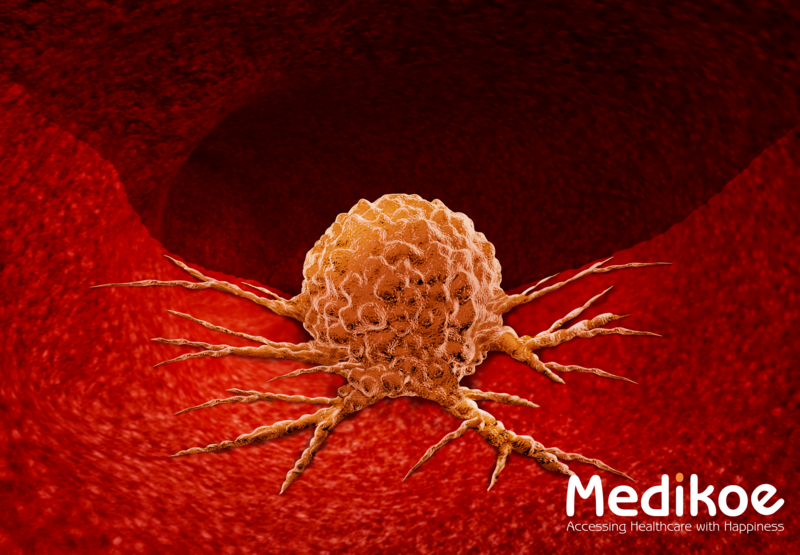 This is known as metastasis or secondary cancer. Metastases still keep the name of the original cancer location (e.g. pancreatic cancer that has spread to the liver is still called pancreatic cancer). Understanding what makes a growth benign or malignant is important to recognize your prognosis, the various steps you’ll have to take to correct the imbalance that caused it, and what it could mean regarding your future health. All tumors share certain characteristics like they are made up of cells your body does not need, and old or damaged cells are not destroyed when they should be. Let’s begin with the basic definitions. On its own, a benign tumor is not dangerous. However, the location of the tumor is what poses the threat. If the mass puts pressure on a primary nerve, the main artery, or compresses brain matter, even a benign tumor can cause serious problems. Read further to learn about types of Benign Tumors! Depending on the location and size of a benign tumor, treatment may or may not be necessary. Doctors will monitor the stage of cancer closely, track patient symptoms, and do tests at specific intervals. If you are diagnosed with a benign tumor, altering your diet to an anti-cancer regimen is sound medical advice. Some benign tumors can become malignant but it’s rare. Even when they are removed, your doctor will schedule regular tests periodically to ensure no additional tumors form (also a rare occurrence). Overall, benign tumors respond well to treatment and the prognosis is usually favorable. If the doctor determines that you have a malignant tumor, that means the mass is cancerous. The word malignant is Latin for “badly born”. This type of tumor has the ability to multiply uncontrollably, to metastasize (spread) to various parts of the body, and invade surrounding tissue. According to the National Cancer Institute, malignant tumors are cancerous. They divide without control and invade other tissues nearby. The cancerous cells of malignant tumors are highly unstable and travel via the bloodstream, circulatory system, and lymphatic system. Malignant cells do not have chemical adhesion molecules to anchor them to the original growth site that benign tumors possess. Carcinomas – This cancer takes place in the organs and gland tissue. For example: Breast Cancer, Cervix Cancer, Lung Cancer, Thyroid, Cancer in Prostate Glands etc. As they grow and begin to press against organs, blood vessels and nerves, pain and general soreness at the site may occur. Cancer treatment usually involves surgical removal, radiation therapy, chemotherapy, etc.